The Milwaukee M18ONEPP2L-502B is a kit well worth having. 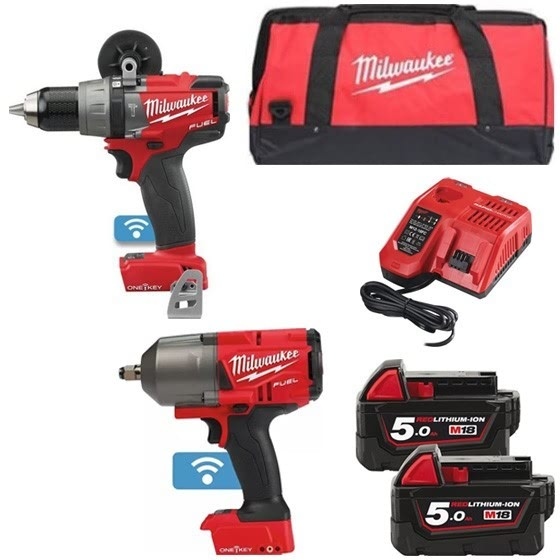 On top of featuring a popular combi drill and impact wrench it also incorporates One Key technology. We pick out the 5 top reasons you should be looking at adding this One Key kit to your selection of power tools. 1. One Key – as mentioned above, this kit features One Key technology, which essentially unlocks the digital jobsite. Control and customisation are provided by simply downloading the app and connecting it to your M18ONEPP2L-502B. Benefits include configuring the speed of your combi and impact drills and tracking their performance. 2. 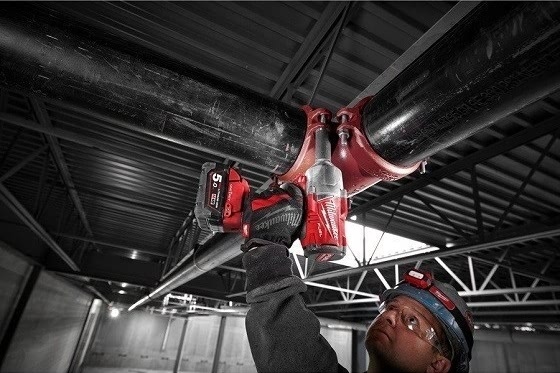 Power and speed – a good combi drill always packs a punch, and the M18ONEPD does just that. Its unmatched torque of 135 Nm ensures power output is sky high, while speed is certainly not compromised in the process; indeed, it delivers up to 2000 rpm. 3. Precise performance – it’s no good having power without precision. Thankfully, the M18ONEFHIWF12-0 impact wrench excels in this department. The wrench’s compact size of 213 mm means it can access tight spaces and twist accordingly with plenty of room for manoeuvre depending on the task. 4. Versatility and flexibility – having power tools that can be used for a variety of applications is always a wise idea. That is most certainly the case with the M18ONEPP2L-502B One Key kit. The combi drill boasts an electronic clutch with 13 torque settings. Furthermore, the impact wrench contains a 4-mode drive control, allowing the user to shift into 4 different speed and torque settings, maximising versatility. 5. Convenience – one of the perks of a kit is what comes with the power tool(s). In this case, you get 2x 5.0Ah batteries and a charger to guarantee you are always well prepared on the jobsite. Additionally, the canvas bag in which the M18ONEPP2L-502B One Key kit is supplied with means transporting the tools around is an easy and efficient experience. In conclusion, the M18ONEPP2L-502B kit is ideal for anyone keen on embracing digital compatibility with their power tools. Professionals can be sure they are getting a high quality drill designed to drill materials such as wood and metal. Tightening and loosening of nuts and bolts, meanwhile, is supplied by the wrench. Check out the drill and wrench for yourself by visiting one of our showrooms. Alternatively, buy it here and order before 17.30 for next working day delivery.